Bing has grown a great deal since their debut in 2009, now powering searches on Yahoo, Amazon and other sites. But who is using the Bing network, and why should marketers care? MarketingProfs breaks it down in a new infographic. Facebook recently announced that they’ll no longer be personalizing their list of trending topics. This is being done in an effort to help users avoid missing important news happenings. Entrepreneur has the full scoop. People who use voice search use it because it’s fast, doesn’t require reading, and gives you fewer answers to sort through. So what does voice search mean for the future of search marketing? Search Engine Land dives in. TopRank Marketing, along with Traackr and marketing veteran and analyst Brian Solis, came together to add a little clarity to what influencer marketing really is, what’s working, what’s not and where it’s heading in the future. Discover key insights and read the full report. Marketers are always looking for new ways to inform, engage and inspire action from our target audiences. Thankfully, we have a number of talented peers in the industry to look to for some inspiration. Check out our list of 20 brand marketers to follow on LinkedIn. People don’t want content, they want answers to questions. In order to better reach audiences, marketers need to stop creating content and start producing the best answer to customer queries. Three long-time TopRank Marketing clients, Axonom, Ray N. Welter Heating Company and a leading U.S-based technology company, have renewed their digital marketing agreements. In addition, another client that’s a leader in the social media space, has added a new SlideShare project to their program. 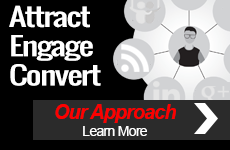 TopRank Marketing welcomed two new clients, Primera and BrightFunnel, this month. Primera, a technology manufacturer and retailer, signed on for a custom SmartCharts analytics program. BrightFunnel, a marketing attribution and forecasting platform, has signed on for a PPC program and site migration. 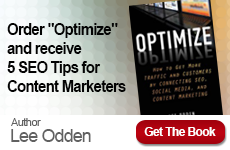 Heidi Cohen: Generate New Blog Post Ideas: Yes You Can! Curata: Digital Advertising: Good or Bad For Your Content? TopRank® Marketing is a digital marketing agency that helps Fortune 1000 companies improve brand visibility, grow communities and increase sales online. We’ve been in the online marketing business since 2001 serving companies like LinkedIn, HP, McKesson, Dell, General Mills, Staples, StrongView and many more market leaders.